Nestled on the banks of Bassett Creek between Harrison & Bryn Mawr neighborhoods of northwestern Minneapolis, Utepils’ 18,000 square foot site features an iconic tap room, relaxing outdoor beer garden, and a full scale craft brewery unlike any other. Good brewing starts with honoring the traditions of brewers who have gone before us. 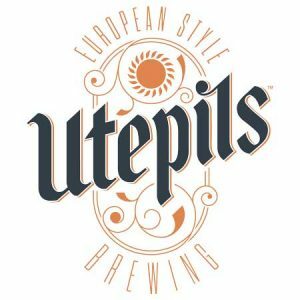 Utepils’ beer is brewed using the highest quality water from the historic Glenwood Inglewood wells to produce beer that is classic yet uniquely distinct. Using tried and true brewing practices, they seek to create a new tradition in the Twin Cities that brings friends and families together to share time and beer with one another.